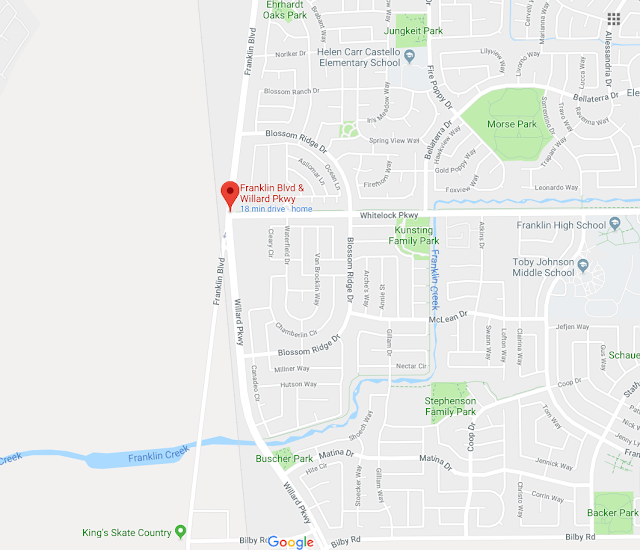 Police are investigating a vehicle accident that led to the death of a motorist last night in Elk Grove. Just before 8:30 p.m. on Thursday, July 26, Elk Grove Police responded to a single vehicle accident on Willard Parkway, just south of Whitelock Parkway. Responding officers located a 2012 Nissan Murano and an unconscious driver. The female motorist was taken to an area hospital where she was later pronounced deceased. Traffic investigators believe the motorist was traveling northbound on Franklin Boulevard approaching Willard Parkway when she lost control of the vehicle, traveled over a large gore and crossed over southbound Willard Parkway striking a tree in the center median. The incident is under further investigation. Anyone with information regarding this collision is asked to call the Elk Grove Police Department Traffic Bureau at (916) 478-8148. The identity of the deceased will be released by the Sacramento County Coroner.